The main goal of Heimur is to create sytlish furniture pieces that raises questions around functionality. The Ralph stool by Heimur revisits the relationship and interactions that we experience with furniture. The contemporary stool forces you to pause, acknowledge the unique design, yet find familiarity in its function, allowing you to interact once more with furniture. The delightfully handcrafted furniture piece is created from Australian Messmate and rattan. Heimur is a Furniture design & manufacturing company, based in the Melbourne suburb of Kensignton. With Minimalism at its core, Heimur draws elements from Scandinavian and Mid-Century Design, yet finishes with a completely unique contemporary product. Heimur’s stripped back designs showcase any space or interior while providing clean, elegant solutions for furnishing and decorating. 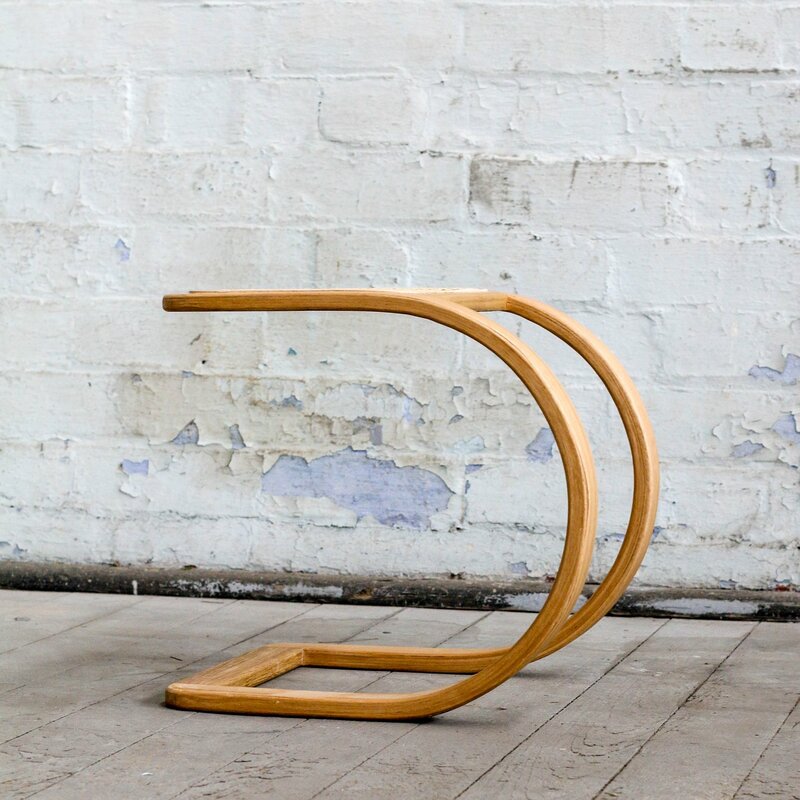 See Heimur’s The Local Project Profile and view Nathan Lawrence’s extensive collection of Melbourne designed and manufactured products that are available for sale on The Local Marketplace. The lead time of the Ralph Stool by Heimur is 2-6 weeks. Delivery of the Ralph Stool seat by Heimur is between normal business hours of 9AM to 5PM Monday to Friday. Lead times are as stated, any variation on the stated lead times will be advised as soon as possible by The Local Project. Please note, in the case of larger project orders of multiple products will require the final balance be paid 7-14 days prior to delivery. Local pick up can also be arranged from Heimur’s workshop – please get in touch with us at marketplace@thelocalproject.com.au if you would like to arrange local pick up of your product. International shipping of the Ralph Stool by Heimur is available upon request. Please contact The Local Project team at marketplace@thelocalproject.com.au for a quote. The Local Marketplace was born out of a desire to support, showcase and champion local Australian Design through a sustained emphasis on sustainable production, quality materials, innovative design and local manufacturing. Our pioneering Marketplace aims to give Australian designers and makers a cutting edge platform to showcase their portfolio and sell directly via our channels. We seek to champion the best from local industry leaders and emerging artisans alike and are committed to supporting and emphasising sustainable production and quality materials, as well as innovative design and local manufacturing. Our passion lies in creating inspiring, original and highly shareable content and, we are dedicated to helping grow and promote the Australian design industry on a global stage. We will now extend our platform further by offering a destination shopping experience – with unprecedented access to local designers and makers. Should you have a project requiring a quantity order of one or many types of Heimur pieces, The Local Project team can work with you to secure the best possible pricing that can be offered across the board. The Ralph Stool by Heimur comes with a 5 year structural warranty.